LOCATIONS AND PRACTICES THAT HELP YOU ACHIEVE A SENSE OF PEACE AND PURPOSE. Your journey weaves together breathtaking panoramas; sensory experiences that rejuvenate and uplift the mind, body and soul. When you want to explore both your inner world and the greater world, Quiet Zone packages can put it all together for you. With a focus on faith and spirituality, we offer complete packages to important destinations such as Israel, Rome (Vatican City), Thailand, Tibet, India, Turkey, Spain and Sedona, Arizona. Connect is a truly unique and meaningful way that can change your life. Loving the world and the animals in it is important... but so is loving yourself. We want you to focus on yourself and your "inner world". This 13-day itinerary (similar abbreviated itineraries are available. Ask us for more information) takes you on a journey which allows you to experience the landscape and unique culture of Kerala. Your stay on this sojourn will be at spectacular locales and hotels including three Relais and Châteaux retreats, an exclusive tropical retreat nestled in a cardamom plantation and a houseboat on the backwaters of Kerala. Your journey weaves together breathtaking panoramas; sensory experiences that rejuvenate and uplift the mind, body and soul; Kerala's culinary trail with quintessential regional flavours and signature cuisines and antiquities from Kerala's rich history. All along, immerse yourself in traditional folk art forms and soak in local vibes. Your itinerary starts at an exotic beach resort at Kovalam. Stay in a luxurious retreat located in a spectacular coconut grove overlooking the Arabian Sea. After some Sun, Sand & Sea, head to verdant Western Ghats and stay in a Cardamom Plantation amidst exotic wildlife. Enjoy Kerala backwaters; your stay offers art, design and gorgeous views of Lake Vembanad at its widest point. Ride the palm-lined backwaters on a houseboat and end this unforgettable journey with a cultural immersion at the harbor at Fort Kochi. On your arrival at the airport, meet and greet, and transfer to Kovalam. You will be welcomed in traditional Indian custom at the Niraamaya Retreats Surya Samudra – a member of Relais and Châteaux and Travelers' Choice - 2014 winner. At 6PM, enjoy an entertaining performance of Indian classical Carnatic music. Tea will be served at Niraamaya's pristine secluded beach – an exhilarating pre-dawn experience. Watch the spectacular Kovalam sunrise and the play of colors over the majestic Arabian Sea. Later, visit the local fish market at 6AM with our celebrity Chef. Back at the retreat your breakfast awaits, post which we will take a trip around Kovalam for some interesting glimpses of heritage and culture. Today, start your day with Sunrise Yoga on the exclusive pavilion on the edge of a cliff overlooking the majestic Arabian Sea for 30 mins. This light workout will be followed by breakfast at Cafe Samsara. After breakfast, we will head south of Niraamaya retreats to the Poovar estuary, a short 20-minute drive. Poovar was the epicenter of trade in sandalwood, spice and ivory. Here you will be transferred to a motor boat that cruises through pristine coconut groves on either side of the river leading you to the Golden Sand beach. On your return, the boat will take you through a pristine mangrove forest, before you transfer back to retreat. Back at the retreat enjoy a classic high tea on your porch while your pre-booked spa therapy awaits - the Niraamaya Signature Spa therapy (60 mins). Today, start your day with Sunrise Yoga on the exclusive pavilion at the edge of a cliff overlooking the majestic Arabian Sea for 30 mins. 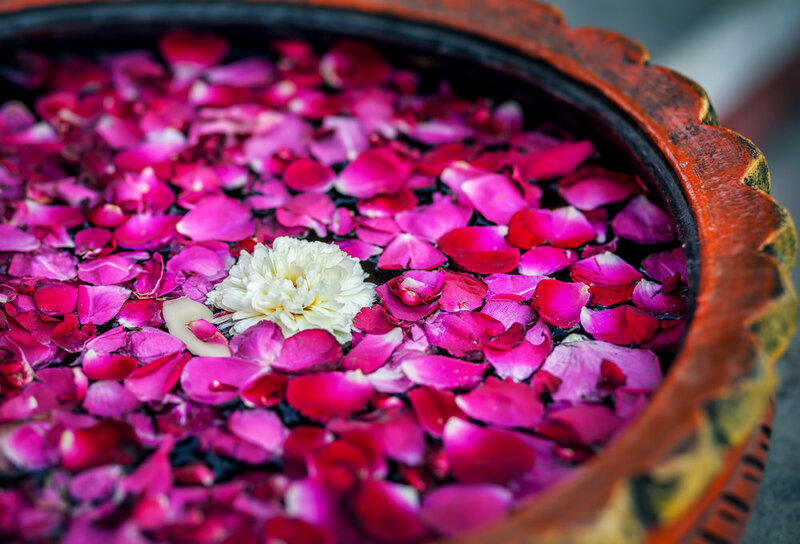 Your wellness program continues with Shirodhara (30mins) at Spa Niraamaya. This will be followed by Abhyanga Snana Classic (60 mins). Follow this with a retreat walk-through accompanied by our naturalist (optional). He will introduce you to the flora and fauna at the retreat and also take you through our home grown organic garden. You will also learn of all the environmental friendly initiatives at Niraamaya. Hi-tea will be organized at the ancient wishing well during your walk around or at your porch, if you wish to skip the walk-through. After breakfast, check-out from Niraamaya Surya Samudra Kovalam and transfer to Thekkady. This is India's largest wildlife sanctuary and a dream destination for all tourists. Along this 4-hour drive you will experience the panoramic Western Ghats - from small quaint towns to rubber plantations and lush green tea plantations to scenic valleys up a winding road. Check-in at Niraamaya Retreats Cardamom Club -Travelers' Choice - 2014 winner, and give yourself up to the Niraamaya Experience. Cardamom Club is perched amidst acres of cardamom plantations. Explore acres of verdant groves and enjoy a guided spice plantation tour. Experience how spices such as cardamom, pepper, vanilla, nutmeg and cloves are grown. These exotic and fresh spices make for a great takeaway. Choose between a 4-km trek from within the retreat to Mount Miracle at dawn - a great opportunity to catch the local wildlife such as the Gaur or 'Indian Bison' and various species of deer and the beautiful Periyar sunrise. Or, look out for one of the rarest animals on earth. The Periyar Tiger Sanctuary is one of the few places where these big cats can prowl freely. This evening we take you to watch Kalaripayattu – one of the oldest forms of martial arts indigenous to Kerala. With careful measured movements the clash of swords is guaranteed to leave you mesmerized. For a genuine safari experience, we will travel by jeep into the dense reaches of spice hills in Gavi. The safari will take you through all forms of terrain - valleys, tropical forests, sprawling grasslands and cascading waterfalls. It includes three hours of trekking and two hours of paddle boating. Try and spot the rare lion tailed macaques, the yellow-necked Nilgiri marten, Salim Ali's fruit bats, black bears, wild elephants and tigers. Or, if you are game for a little more adventure, you can opt to go bamboo rafting down the Periyar Lake. Steer your craft through dense forests, skirt the rapids, we are certain you will come back with a new respect for the wild. Breakfast and lunch is organised in a quaint hamper for both the excursions.Your dinner today is Niraamaya's special barbecue dinner and bonfire. End the blissful day with our sun-downers, stargazing at the bright blanket of stars that stretch across a clear night sky, before a crackling bonfire. After breakfast at Cardamom Club, we will drive to Purity on Lake Vembanad (4 hours). Purity is right in the heart of the backwaters and overlooks the lake at its widest point. All 14 suites and rooms of Purity overlook the lake. A therapeutic Ayurvedic treatment is already pre-booked for your convenience. This temple, located at the heart of Alleppey Town has charming traditional temple architecture in typical Kerala-style with a sloping tiled roof. Built in 1862, it is one of the oldest lighthouses on the South-west coast. The approach to the lights is through a flight of wooden stairs in the narrow interiors of the tower. The balcony of the lighthouse offers a bird's-eye view of the town to the east and the vast sea to the west. Alleppey local market will give you a glimpse of the local life – a glimpse of local bazaars and people going by their daily life, and shopping at the vegetable and provisions stores. Alleppey is 18 km from Purity, the journey will take 20 to 30 minutes, depending on the traffic. 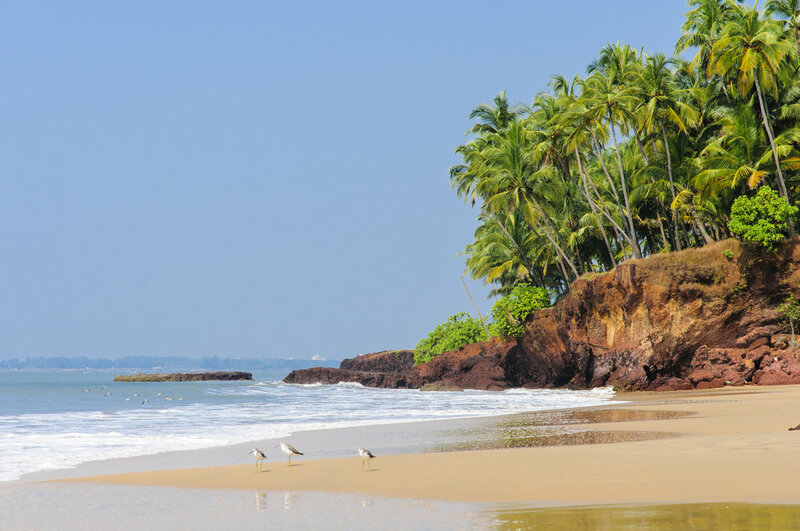 This tour combines the waterfront of the Arabian Sea with the backwater town of Chertala. It is conducted on a tuk –tuk. The total distance is 28 km including return to the hotel. The church, officially Arthunkal St. Andrew's Forane Church was originally built by the Portuguese missionaries in the 16th century. It was rebuilt in 1584, under the then vicar Fr. Jacoma Fenicio, whom the devotees claim, possessed magical powers to heal the body and mind. Take a tour of the small town of Cherthala to see the local markets and the nearby Karthyayani Devi temple. Take a swim or revisit the spa (optional) after your return. A complimentary high-tea will be served in the late afternoon. We also invite you to canoe ride along the lake shore, including the visit of an operational Chinese fishing net. Closer to lunchtime you board Discovery - the Malabar Escapes' houseboat for a cruise through the many canals and waterways. Discovery is the most eco-friendly houseboat in the backwaters and has been listed repeatedly as one of the best houseboats in the world. The sun beds and the dining table on the upper deck become the grand stand while the daily life in the backwaters passes by. Today, after breakfast, check-out from the houseboat; you will be then transferred to Cochin. At the heart of historical Fort Kochi you will be welcomed in traditional Indian custom. Check-in at The Malabar House, member of Relais & Châteaux and winner of the World Travel Award 2014. In the evening, be mesmerized with a cultural program of Kathakali – a classical Indian dance-drama, noted for the attractive make-up of characters, elaborate costumes, detailed gestures and well-defined body movements. After breakfast at the Malabar House, we introduce you to the history of Fort Kochi, the heart of ancient spice trade. Given in 1498 by the Cochin Maharaja to Vasco da Gama, it is India's oldest Indo-European town, and was once governed by the Portuguese, Dutch and British. Even today, it holds the reins as the hub of the spice trade. The Malabar House team will be delighted to listen to your interests and help you to put together a personalized program for the day. Whatever you prefer to do, sightseeing at the historical landmarks on a tuk-tuk, browsing through antique shops or contemporary art galleries, fashion shopping or simply soaking up the everyday life in the local markets and streets. Do not miss the sunset at the Chinese fishing nets - Cochin's famous landmark, only a short 5-minute walk from The Malabar House. It is advisable not to drink Tap water. Hotel provides 2 bottles of mineral water every day in your room, with our compliments. What voltage do you use in India? 2 Nights in Malabar House, Cochin: Roof Garden Suite. Includes all meals and spa therapies as per itinerary. 2 adults and 2 children (below 6 years ). or 3 adults. What kind of food will I find at Niraamaya? At Niraamaya you will find a fine mix of Indian, Continental and Asian food. At all our retreats we endeavour to recreate regional gastronomic experiences. At Niraamaya Surya Samudra and Niraamaya Cardamom Club we use the freshest of ingredients and fragrant aromatic spices true to the area for a taste of the regional flavour. What is Indian food like? Indian food is high on taste and definitely worth trying, however it can get a little too piquant for foreign palates. Although the Indian food served at Niraamaya is toned down a little bit, it may still be a little too spicy for foreign palates. Do let our chefs know the level of spice you can comfortably take and they would be happy to customise your meals accordingly. Is vegan and vegetarian food available? Yes our chefs cater to vegetarians as well as vegans. While we have separate menus for vegetarian food, if you want vegan or gluten-free food, please notify the chef before you order. We also serve Jain food. Are there buffets at Niraamaya? We believe in freshly cooked meals (that’s good for you! ), instead of mundane cold buffets, hence we do not offer buffets. This is especially over breakfast as we believe it is the most important meal of the day. Gourmet a la carte breakfast is served in courses with open ended add-ons for variety and value. All guestrooms and villas are non smoking. Smoking is permitted outside only. All guestrooms and villas are provided with safety deposit boxes. Is WiFi available at the hotels? Free WiFi is available at all our retreats. We strive to provide a fairly good speed that should suffice for basic surfing and checking e-mails. Kerala (Pulinkudi and Thekkady) has still not joined the race on the internet superhighway and so you may sometimes face intermittent reception. Please note, our firewall systems will not allow for heavy data downloads. Is cross-gender massage available at your retreat. No, we do not offer cross-gender massage. Is there a swimming pool in the hotel? Yes we have a unique rock cut infinity swimming pool. It also has a kids section. We do not have swimming pool in Cardamom Club, Thekkady yet. How far is the beach from the retreat? The beach is within a radius of 100m. Access to the beach are through the stairs. The stairs to the beach are not advisable for elderly or differently abled person. How long does it take to get a taxi or car rental from the airport to the hotel? Trivandrum (TRV) International Airport, the closest airport to Kovalam is approximately 25 minutes by road. Kochi (COK) International Airport , the closest airport to Thekkady is approximately 4.5 hours drive by road. Do you have special facilities and services available for the differently abled traveller?